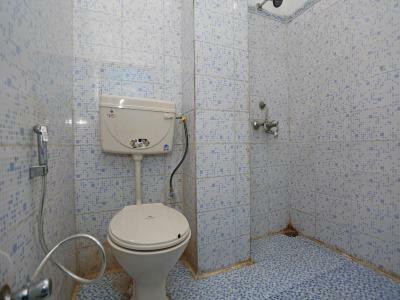 Hotel President is located in Chittaurgarh, just behind the Chittaurgarh Bus Station. Each room here will provide you with a cable TV and a private bathroom. At Hotel President you will find a 24-hour front desk. Other facilities offered at the property include luggage storage. The property offers free parking. The hotel is 0.6 mi from Chittaurgarh Fort and the Chittaurgarh Railway Station. The Maharana Pratap Airport is 56 mi away. When would you like to stay at OYO 28006 Hotel President? This large suite features a tile/marble floor, cable TV and air conditioning. This fan-cooled double room has a cable TV, tile/marble floor and air conditioning. House Rules OYO 28006 Hotel President takes special requests – add in the next step! One older child or adult is charged INR 300 per night in an extra bed. OYO 28006 Hotel President accepts these cards and reserves the right to temporarily hold an amount prior to arrival. Customer booking 4 rooms and more will be required to Deposit 25 percentage of the total reservation amount in order to confirm the reservation. The property will contact you after you book to provide any bank transfer instructions. Please note due to local licensing guidelines, the property is able to accept Indian nationals only. The property apologizes for any inconvenience caused. I like the atmosphere of this hotel. And also like the nature of faculty of this hotel. I really feel comfortable too. Staff did not know anything about my booking, only 2 spoke english. The bathroom had no shower, only buckets which you could fill with water. The room itself was a good size but not very clean (previous guest trash in the bin etc). Overall fine for 1 night but a bit of a dump.